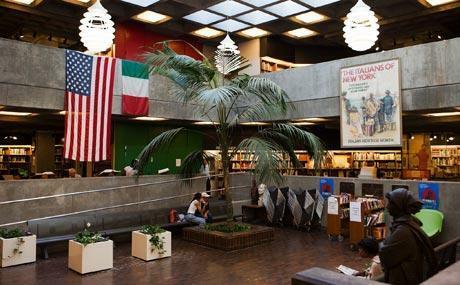 Since its founding during the earliest days of our nation, the Belmont section of the Bronx, fondly known as Bronx Little Italy, has been critical in the development of the borough and city. An economic and cultural engine, Belmont hosts hundreds of thousands of shoppers, food connoisseurs, and tourists every year, making it one of the most visited neighborhoods in the entire city! Charming old-world ambiance emanates from the generations of Italian families who give the area a welcoming small-town character unique for an urban setting. Among the notables born and raised here are actors Anne Bancroft and Chazz Palminteri, author Don DiLillo, and rock star Dion DiMucci, whose group, Dion and the Belmonts, is named after the local street Belmont Avenue. Joe Pesci began his acting career after being discovered by Robert DeNiro at a local neighborhood restaurant, where Pesci worked as the maitre’d. Most of all, it is Arthur Avenue’s high-class dining experience that delights visitors year after year. Where else can you take a short walk and discover such a wealth and breadth of fine Italian delicacies at your fingertips? Within the space of a few footsteps in this beloved New York neighborhood, you can revel in some of the most authentic cuisine, culture, and commodities outside of Italy. Guests from across the globe come to sample the tastes and traditions of this community, home to shops and businesses that are still owned and operated by the same families that started them nearly a century ago. There truly are impressions of family and remnants of a shared history everywhere you turn. No other neighborhood can boast all we have to offer on just a few short blocks – but it’s not just the food, it’s a way of life; a sense of kinship and partnership inherited from the past that is seldom seen today. All who explore the neighborhood will encounter an eclectic mix of inviting shops, friendly faces, and a pervading spirit of communal living, common ancestry, and inter-generational cooperation. 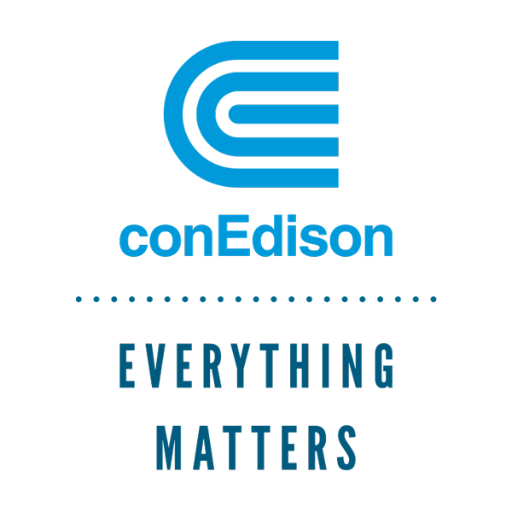 Whether you come to the area for shopping, a meal, one of our exciting events or after a visit to the Bronx Zoo, New York Botanical Garden, or Yankee Stadium, the Belmont Business Improvement District promises that it is worth the trip! 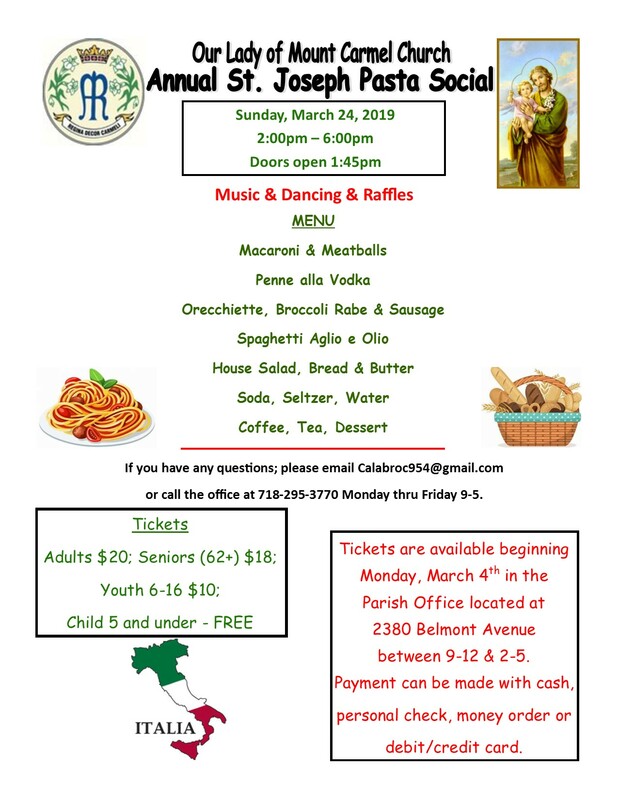 Join us for a day of pasta, music, dancing, and raffles at Our Lady of Mount Carmel Church! The menu consists of your favorite Italian pasta dishes and a day of fun. Get your tickets at the Parish Office at 2380 Belmont Avenue. Adult tickets are $20, seniors (62+) $18, youth (6-16) $10, and children (5 and under) free. Hope to see you there! 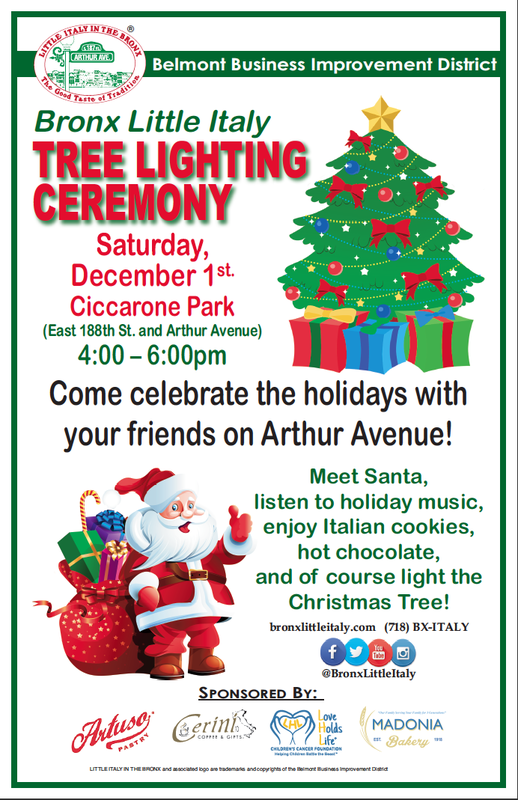 Join us for our annual Christmas Tree Lighting Ceremony on Saturday, December 1st from 4-6pm at Ciccarone Park! Celebrate the holidays with us and listen to holiday music as you enjoy Italian cookies and hot chocolate. Santa will also be stopping by! Our Christmas Tree Lighting Ceremony is sponsored by Artuso Pastry Shop, Cerini Coffee & Gifts, Love Holds Life Children’s Cancer Foundation, and Madonia Bakery.